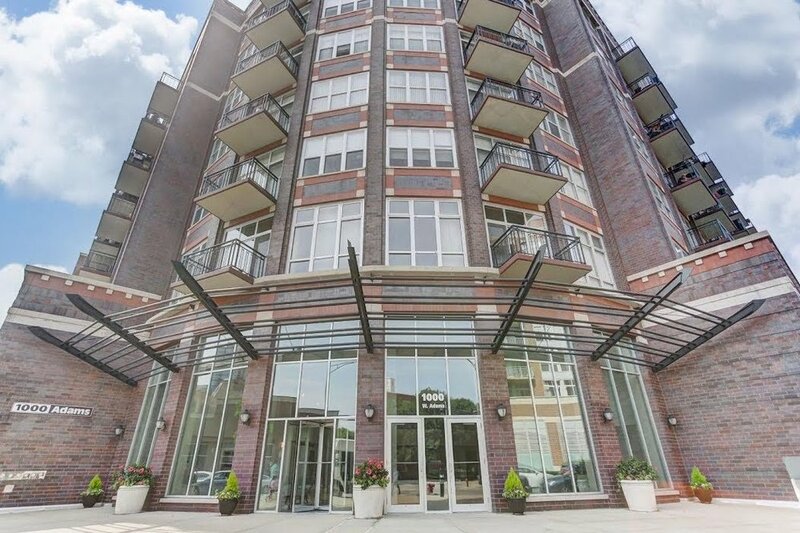 This mid-rise loft style condo building is located in the heart of the West Loop. As one of the neighborhood’s larger condo developments, homebuyers should find a number of desirable units on the market at any given time. Built in 2001, condos for sale at 1000 West Adams Street offer one and two-bedroom floor plans making it one of the more affordable condo buildings in the West Loop. Amenities include open-concept floor plans, hardwood flooring in the main living area, gas fireplaces, carpeting in the bedrooms, and updated finishes in the the kitchens and bathrooms. Bust out your gas grill because these condos offer a private balcony. Lifestyle amenities at 1000 W. Adams include 24 hour door service, a fitness center, a business center, and a rooftop deck with amazing views of the downtown Chicago skyline.